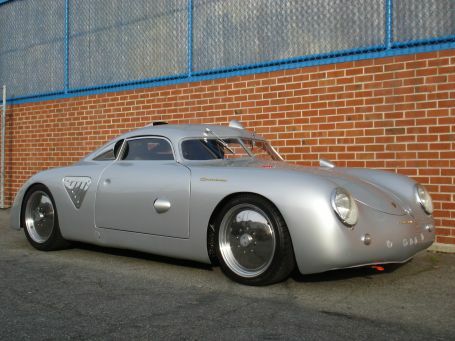 I Love the Concept...The "Porscheophiles" Are Gonna Hate it. 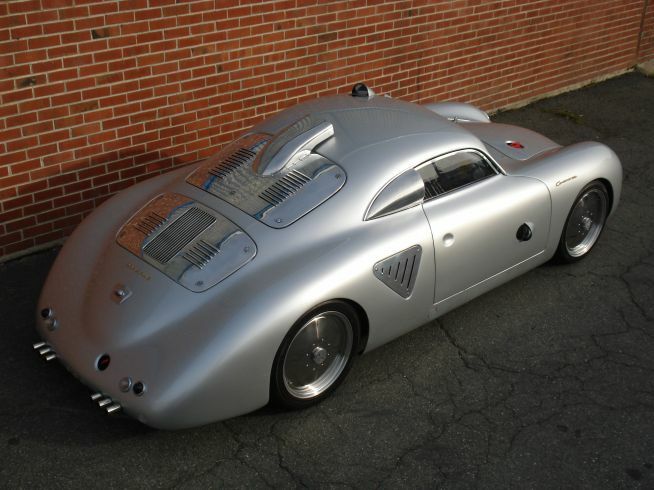 This car is a stunning and totally unique one-off that subscribes loosely to the 356 Outlaw philosophy. Based on a 914-6 chassis, this car has been fitted with a mid-mounted 3-litre 911 engine with Weber carburetors, as well as a 915 5-speed gearbox. It was built by Australian Jeff Dutton in 1992. 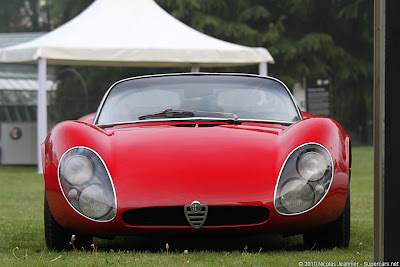 The body is based on a 356 Continental from 1955, and is recognizably such up to the B-pillar. 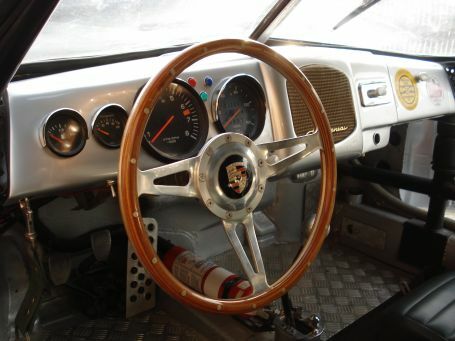 The roof has been chopped several inches, as is fairly standard for an `Outlaw`, but thanks to the mid engine placement and 914-6 chassis, the wheelbase is longer than that of a 356. 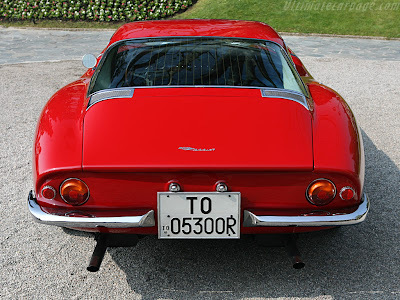 Consequently, the car displays a dramatic and striking `fastback` rear treatment, which is beautifully set off by a number of very neat and extraordinary details. The philosophy throughout the car is one of lightness and strength, and much of the car is structurally composed of a tube frame. There is an integral roll bar, which is in keeping with the general interior aesthetic of Spartan functionality. Cruelty at its worst : The Unforgivable Brutal Murder. This happens in developed countries such as: Denmark and Japan. Every single year. You would think that the first world countries in Europe such as Denmark would never succumbed itself to i killing dolphins and whales just because its a tradition? How barbaric are these people? Well lets just say that upon my research of this infamous tradition, I stumbled upon tons of sites that tackles this horrible massacre of the whales and dolphins, and take note “WITH PICTURES” (Read: horrible graphics). When I first saw the pics I thought it was a hoax but upon reading articles about it on credible news sites, I can’t believe my eyes that this barbarism is happening in another country, which is far more progressive compared to ours. I, one time shed a tear upon looking at the pics because it was really horrible. The people look on, saying nothing, as if it was some kind of entertainment or a circus to behold on to. The worst, there were children everywhere. I previously wrote about a series here in Brother Sun, Sister Moon which featured extinct animals caused by mans’ slaughtering and hunting. Well I guess it won’t be long till the pilot whales of Faroe Island would be seen only in pages of books. The fishermen in villages like Taiji, go out in small boats to known dolphin migratory routes. Positioning their boats strategically, they space out to form a line and wait for the dolphins. When the dolphins arrive, the fishermen drop long metal pipes into the water, and by banging on the pipes they create a wall of sound. The sound interferes with the dolphins' ability to navigate - it disorients and panics them. The dolphins swim away from the sound, and the fisherman maneuver their boats herding them into a small shallow bay. Once in the bay, nets are drawn across the mouth of the bay to keep them penned in. The fishermen usually injure a few of the captive dolphins with a spear thrust or a knife slash - dolphins will not abandon these wounded family members. Trapped in the shallow water, the dolphins mill about trying to stay as far from land as possible until the next morning. In the morning, the fishermen draw the nets in, forcing the dolphins closer to shore where they kill them by stabbing and slashing them with knives and hooks. The dolphins thrash about for as long as six minutes each as they slowly bleed to death, turning the sea literally red with their blood. After the massacre, the bodies of the dolphins are taken to a slaughter house to be butchered. The meat is severely contaminated but is sold without warnings in supermarkets in Japan - supermarkets often owned by US and European chains. The Alfa Romeo 33 Stradale. The Most Sensous Alfa Ever? 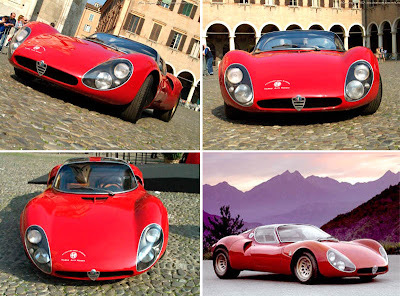 Continuing the string of enchanting designer bodies for Alfa Romeo in the 1950s and 1960s (see the Pininfarina custom body for Alfa Romeo 33, for example - revealed at Paris show in 1969 and discussed in our previous article), Alfa Romeo 33 Stradale ("Street") is another curvaceous beauty, as desirable as it is rare. 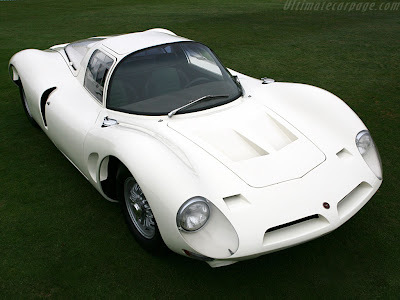 The street version of the Alfa-Romeo Tipo 33 racing car was designed by Franco Scaglione, a major talent who just left Bertone studio, and went free-lancing... apparently losing none of his master touch. 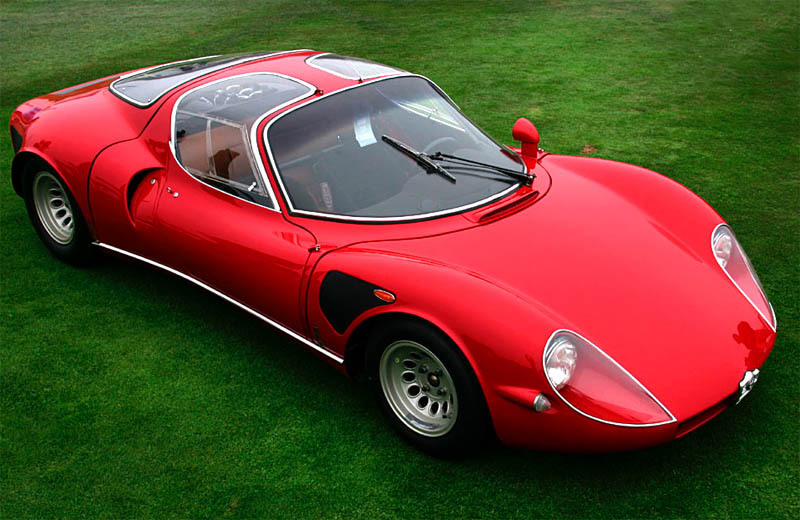 The first production vehicle to have "butterfly" doors, the first mid-engined Alfa Romeo road car appeared at Milan Motorshow in 1967. 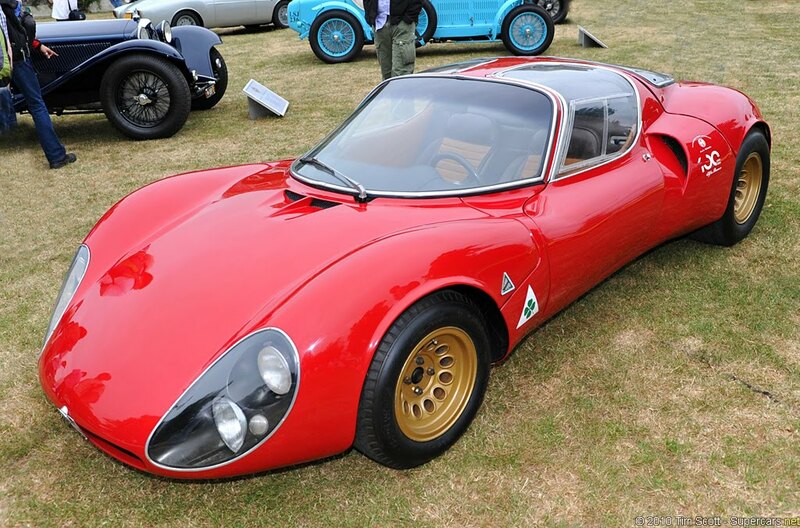 Its voluptuous, nicely proportioned shape many consider to be one of the most beautiful designs ever. Only 18 such cars have been built, mostly due to their astronomical price. 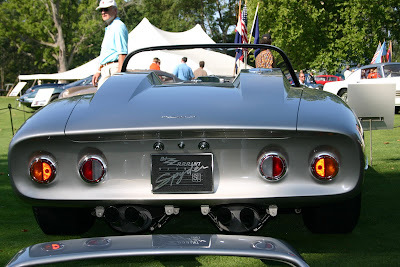 Some versions had entirely different front-end styling. The 33 Series Alfa-Romeo chassis proved to be attractive to numerous stylists, among them Bertone, Pininfarina, and Ital Design from 1968 to 1976. In the next articles we'll try to cover these rarities as well. "Muscular, aggressive and sensual, the 33 Stradale was magnificently sculpted"
This is a 2009 release that was overseen by me back then. I even hadn't noticed that such a_ let me say_ diabolic machine_ had been shown out there. So like they say, "better late than never", and here is some of the material I've picked on the net. 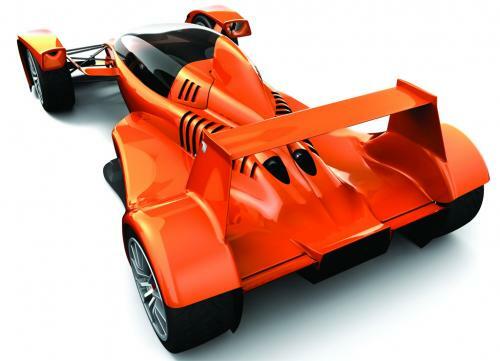 Caparo T1 is certainly the scariest supercar in the world. Last year this Formula wannabe appeared in many high profile events and TV shows and broke down in almost all of them! 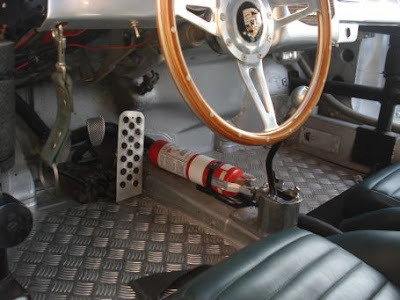 And in some occasions it caught fire in which the worst is when Jason Plato of Fifth Gear was testing it and he got burned on his hand, neck and face. So we are a bit skeptical about this new 2009 modelwhich will debut at Salon Prive on 12th February 2009 at London’s Hurlingham Club. 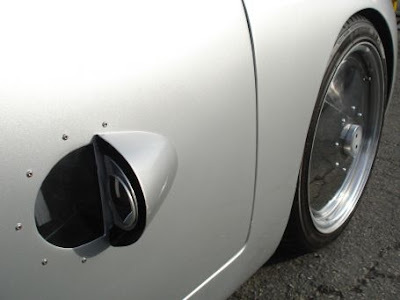 However with 550+ horsepower, 0-60 in 2.5 seconds and a price tag of more than $350,000 (2008 model) this can be considered as a very exciting way to attempt suicide! Of course for rich people. The new model offers five different settings as they say the base is a cost effective racing setup and at the top of the range you can have Race Extreme Version which comes with upgraded electronics package, fully carbon brakes and the latest light weight magnesium wheels. The Caparo T1 could be considered the sibling of the classic McLaren F1, thought by many to be "one of the great events in the history of the car" [Source: Autocar]. 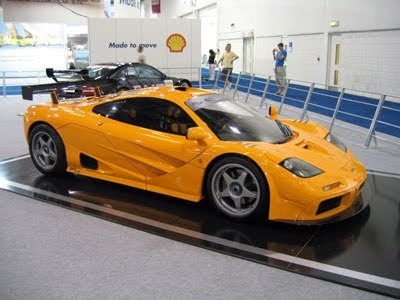 Two of the engineers responsible for the T1’s design, Ben Scott-Geddes and Graham Halstead, were also heavily involved in the creation of the McLaren F1 [Source: Newspress]. But where the F1 (and the Ferrari Enzo, which was tested by F1 star Michael Schumacher) were inspired by F1 cars, the Caparo T1 strives to be one. 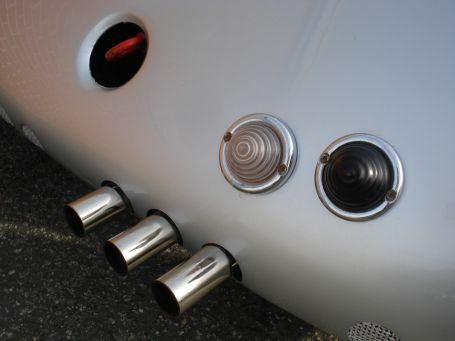 It has an open-wheel design with the familiar F1 suspension struts visible. 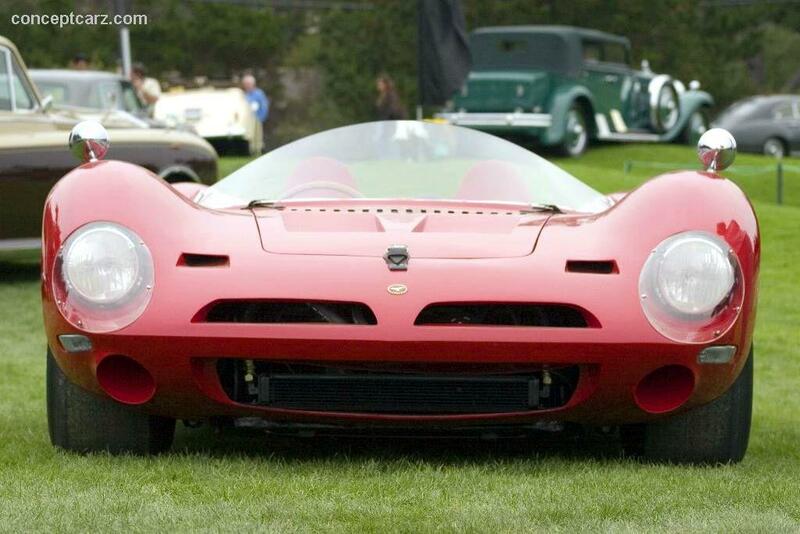 Front and rear wings create road-hugging downforce. The driver sits in an enclosed central cockpit, with space behind for one passenger. More importantly, the T1 was designed from the ground up to be as light as possible. It will not be the fastest or most powerful production car ever made, but it's essentially as close to a Formula 1 car with headlights as any car will ever be. 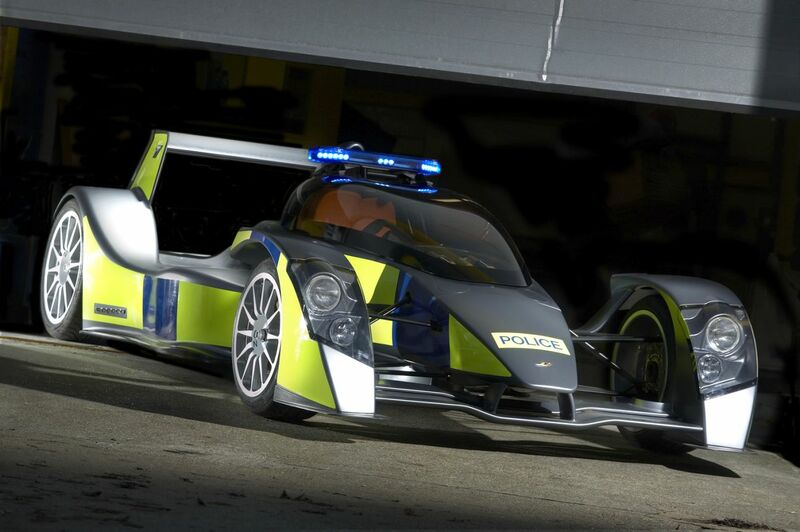 Caparo isn't producing the T1 to prove their high-performance street "cred" (though they'll generate a fair amount of it). 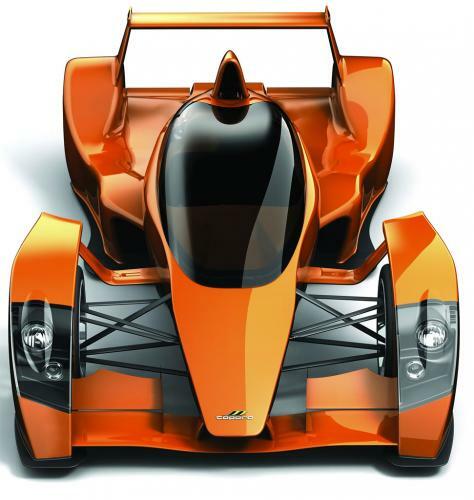 The T1 is a showcase for Caparo's lightweight vehicle technologies. The company markets its expertise at designing cars using very light materials as a way for automakers to create more efficient cars, ultimately reducing pollution and energy consumption. Toward that end, they hired Formula 1 designer and McLaren F1 design alum Gordon Murray, who is known for shaving every ounce of excess weight from racing cars [Source: Autocar]. Advancements in science and technology in the twentieth century brought about great changes in many fields including the automobile industry. 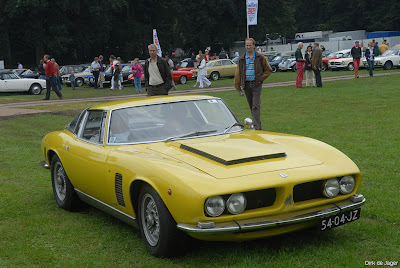 The Italians were among the forerunners of these developments in this industry. 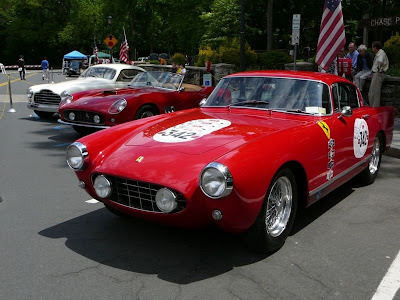 The names Ferrari and Lamborghini are known throughout the world for their achievements in this field and primarily for the sports cars they developed. 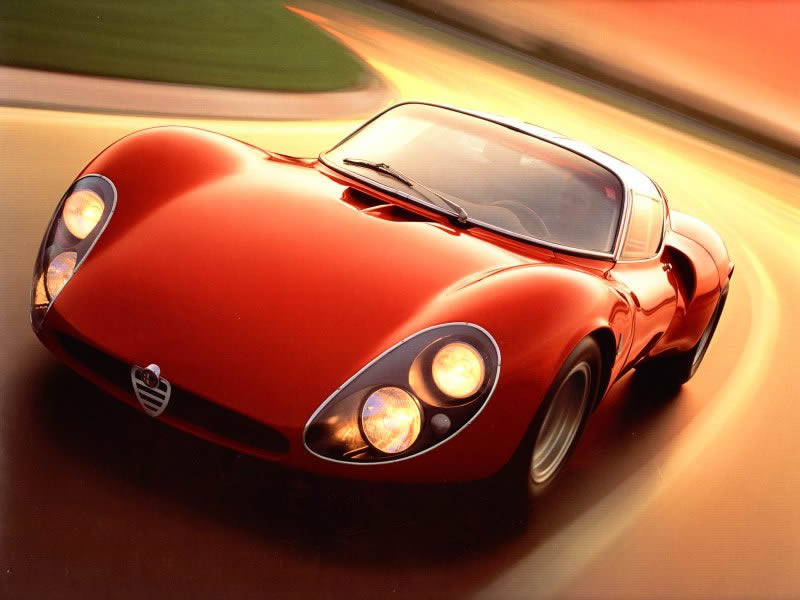 These are names synonymous with innovative, stylish, high-performance cars. However there is yet another lesser-known Italian who deserves to belong to this illustrious group and that is Giotto Bizzarrini. 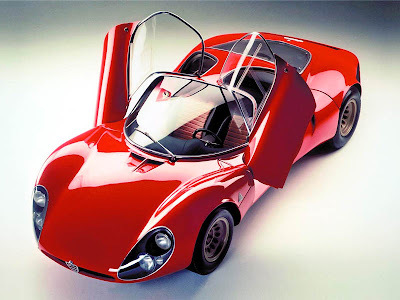 Bizzarrini’s youth and education Giotto Bizzarrini was born in a tiny village called Quercianella in the Livorno province in Tuscany on 6th June 1926. 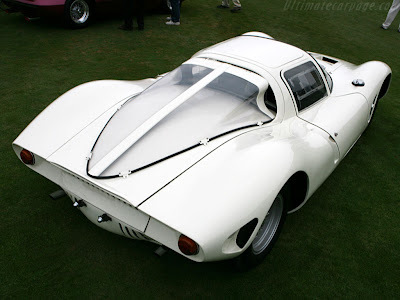 Bizzarrini’s antecedents were all engineers. Imbued with the typical wild Tuscan spirit, Bizzarrini spent his youth mostly in the rough, in the forests of his birthplace, hunting and fishing, later deciding to take up his family trade. He enrolled in the University of Pisa to study engineering. 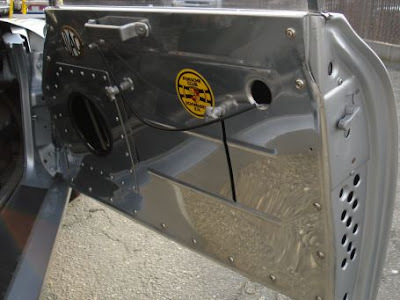 As a mark of completing his course, he demonstrated his learning and skills by building an entire car from scratch. He then went onto become a teacher at the same university. 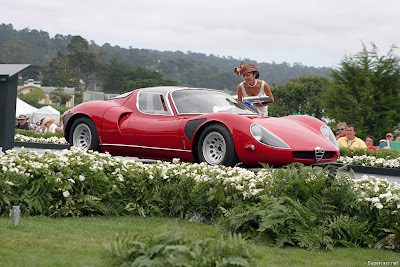 However, the restless Tuscan was not content with his academic job and in 1954 quit the University to join the experiments department at Alfa Romeo as a test driver. In 1957, the death of a test-driver at the world famous automobile manufacturing company Ferrari left an opening that Bizzarrini desperately wanted to fill. 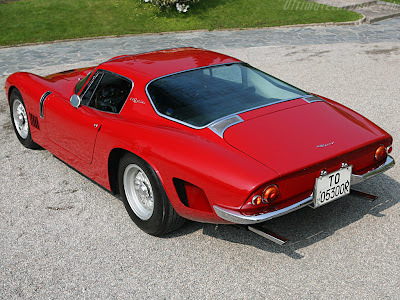 Bizzarrini secured an interview through some connections in the Ferrari company higher-ups and joined Ferrari in February 1957. By 1958 he became the head of Controlling and Testing for Production. It was during this period that he met another Tuscan, Carlos Chiti, with whom he went on to collaborate in many projects. 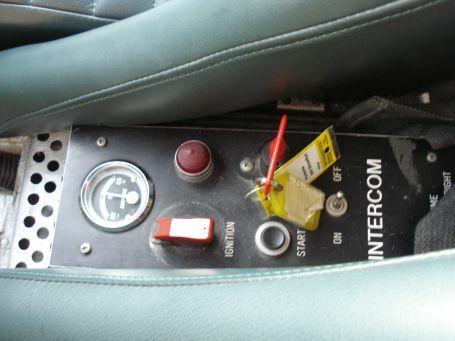 Those were momentous times at Ferrari with some great minds working on the complex automobile design issues of the day. 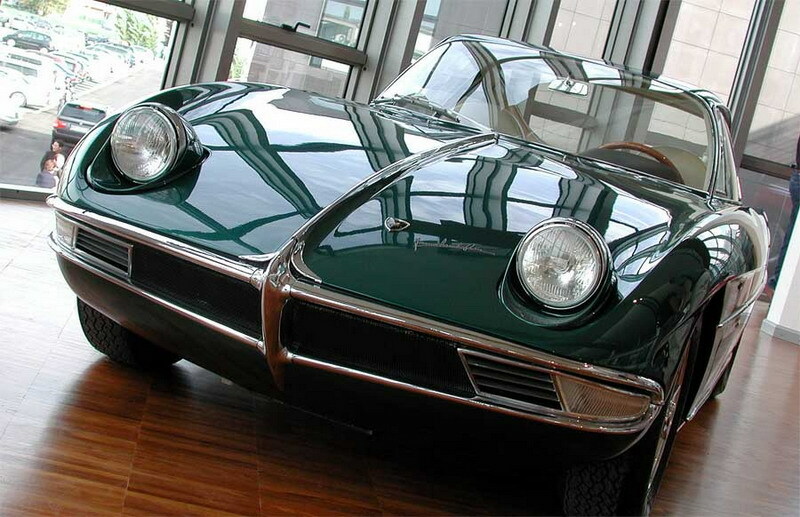 In 1961 Jaguar released the high-performance Jaguar E-type that set alarm bells ringing at Ferrari. 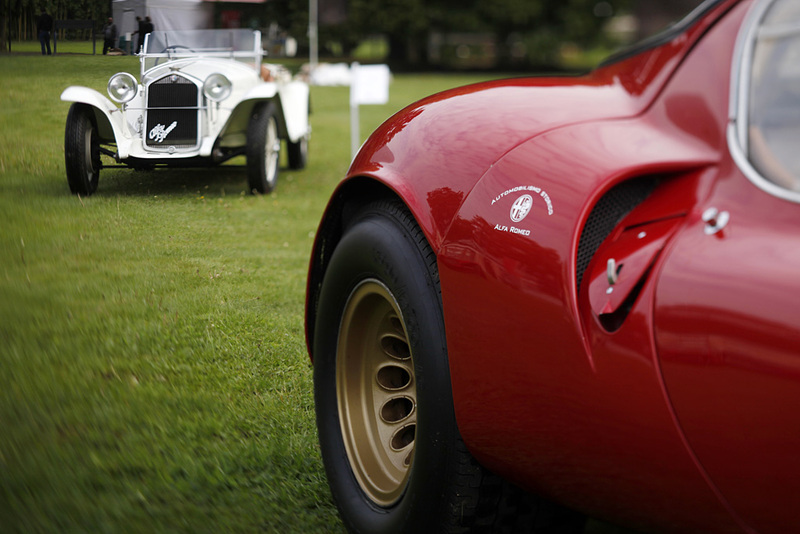 The onus fell on Bizzarrini to come up with a fit reply to Jaguar. He worked hard and fast with just four other loyal Ferrari engineers. Their efforts resulted in the world famous Ferrari 250 GTO. But Bizzarrini was not there to celebrate the success of their efforts. He along with his friend Chiti and a few others resigned from Ferrari in what became a much publicized ‘walkout’ protesting the impulsive decision of Enzo Ferrari to expel one of their friends Gardini. Count Volpi du Misurata of the Scuderia Serenissima then hired Bizzarrini, Chiti and two others to design a car to rival Ferrari’s GTO. But that venture too fell through and Bizzarrini had to look for newer pastures. This was the time another significant personality entered Bizzarrini’s life. 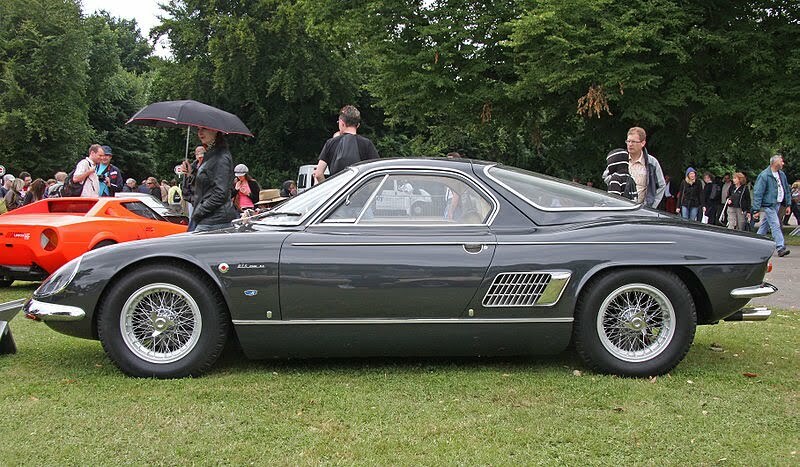 Renzo Rivolta, owner of Iso, a small car manufacturing company in Bresson, Milan was looking for an enterprising individual to test drive and make design changes to a prototype called Gordon GT that he had developed in association with British engineer John Gordon. 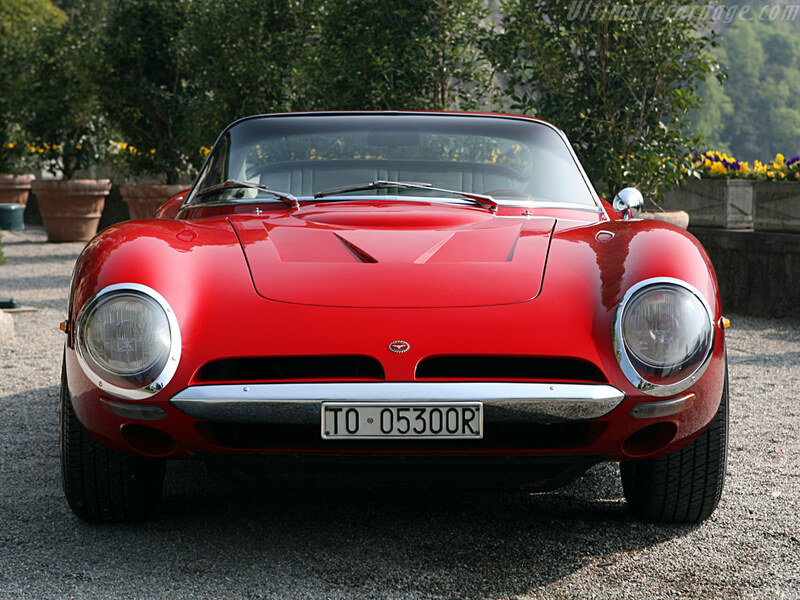 Bizzarrini exactly fitted the bill and was hired by Rivolta. 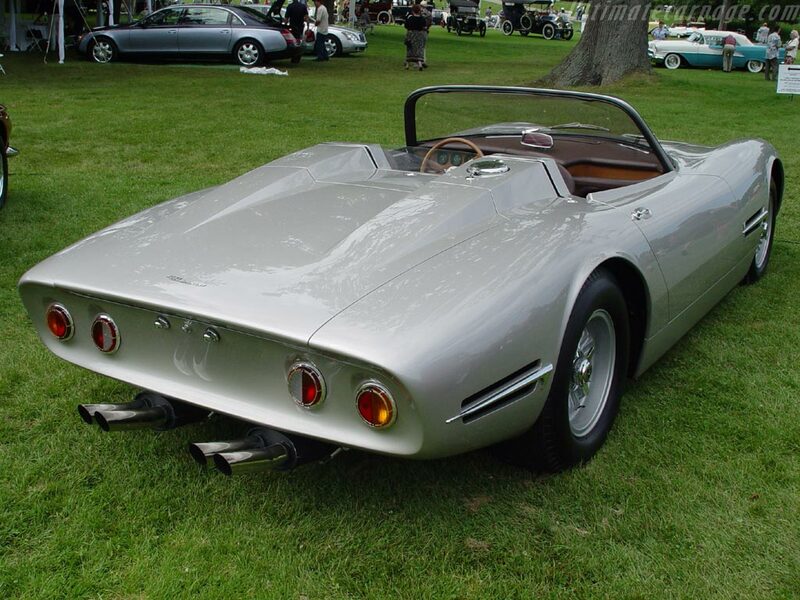 Bizzarrini absolutely hated the car’s design parameters but fell in love with its V8 engine, a Corvette 327. 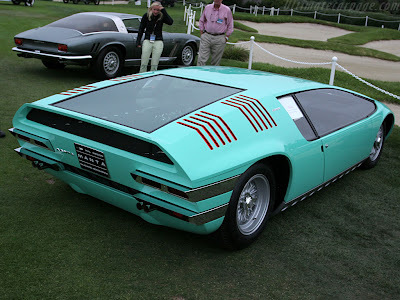 He advised Rivolta to scrap the original design and instead design a car from scratch but with this same engine. 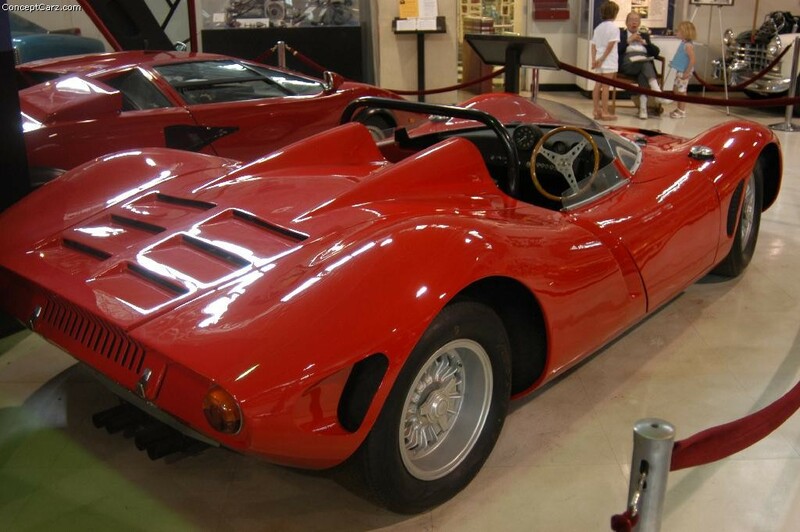 It was during this period that Bizzarrini set up his own consulting company Autostar in Livorno. 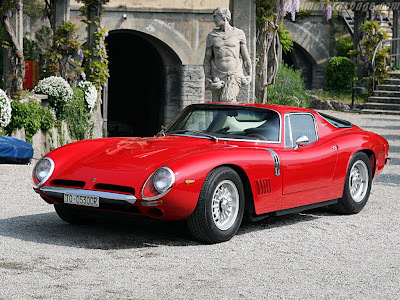 In 1963 the contract with Rivolta ended and Bizzarrini went on to work for Campagnolo and ASA, another GT manufacturer for whom he developed the ASA 1000 GT. Bizzarrini’s next pitstop was at the stables of the legendary Ferruccio Lamborghini. Lamborghini allowed Bizzarrini to give full vent to his creative genius. 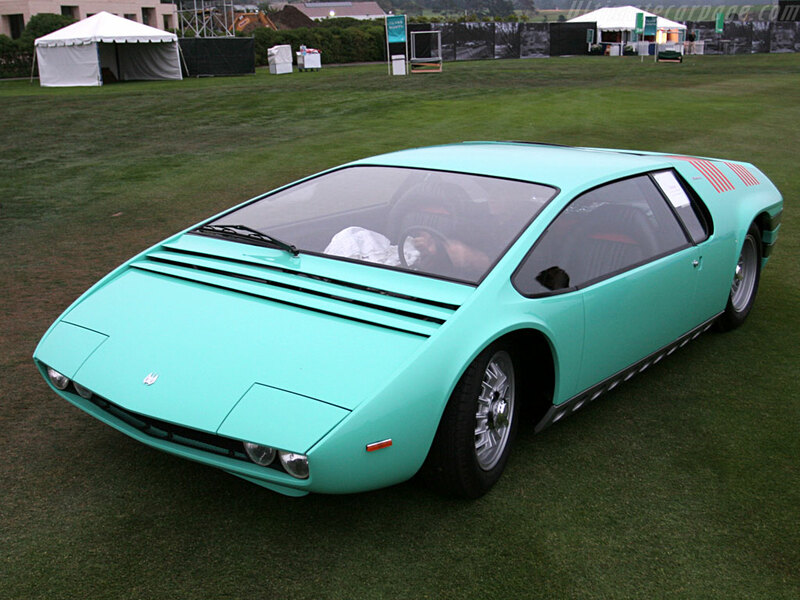 Lamborghini commissioned Bizzarrini to build a 350hp engine with 12 cylinders. 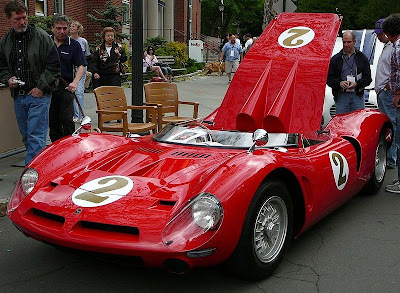 As an incentive, Lamborghini promised him a bonus for every additional horse power that Bizzarrini could extract from the engine. The final engine, a 3500cc, 350hp, 9000rpm model, was completed in 4 months. 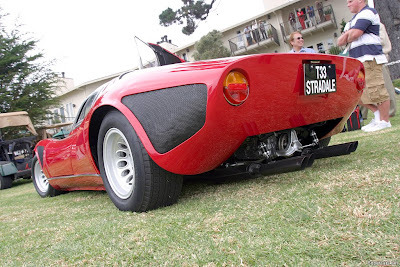 Lamborghini was delighted and rewarded Bizzarrini well. 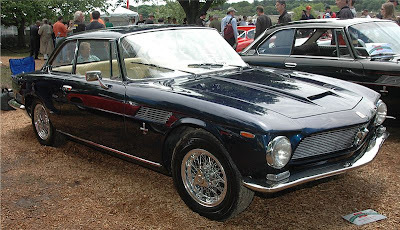 Not longer after Bizzarrini left Iso, Rivolta came back to him. 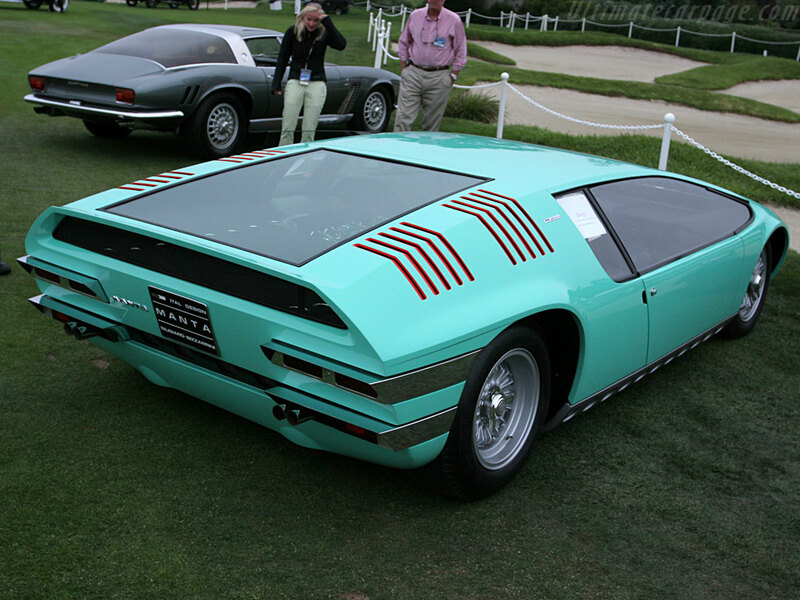 This time, Rivolta wanted him to build a mass-produced luxury car. But Bizzarrini at that time had a full-blown racing machine in mind. 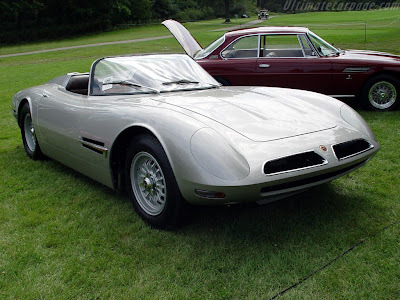 But Rivolta was insistent and so Bizzarrini worked with Rivolta’s engineers supervised by chief engineer Bertone to build the A3/L model while working on his own ideas separately which resulted in the A3/C model. The A3/L, named the Iso Grifo, was a huge hit in the Turin Auto Show in October 1963. The A3/C was not far behind in tasting success, as it won the prestigious Le Mans 24 Hour race in its class. After this, following a dispute with Rivolta, Bizzarrini decided to walk. Rivolta retained the rights to the ‘Grifo’ name but Bizzarrini walked out with the rights to the A3C. 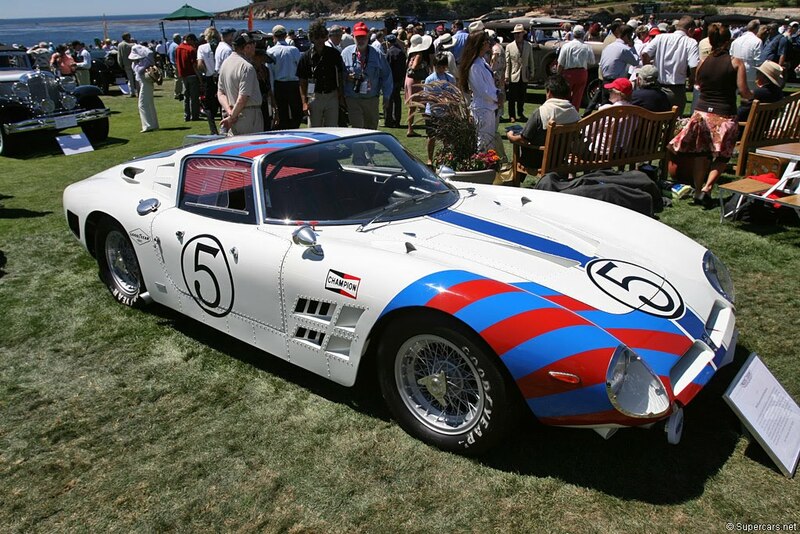 Bizzarrini went on to build 2 more successful prototypes from his Livorno-based company based on the A3C – the 5300 GT Strada, a mass-produced car and the 5300 GT Corsa, a racing machine. After 1969, Bizzarrini moved on to work for Opel and GM among other major manufacturers. 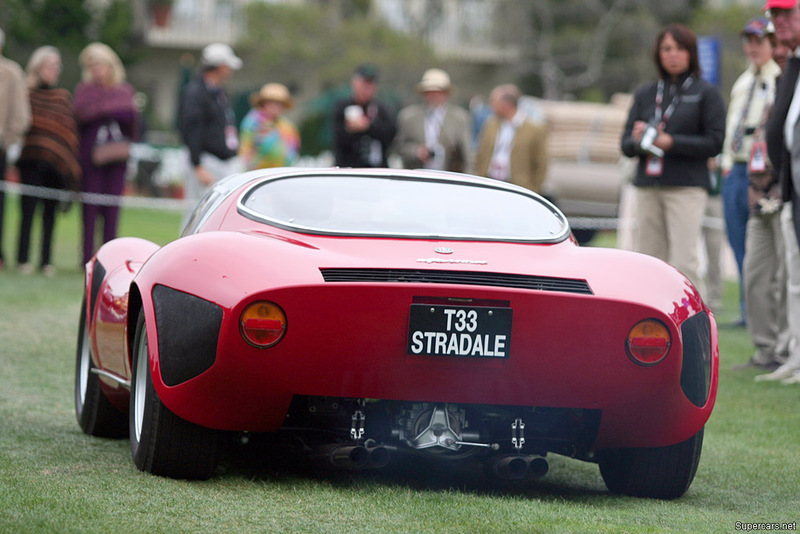 His restored Strada 5300 was featured in the Pebble Beach Concours Parade of Elegance in California and was admired universally. 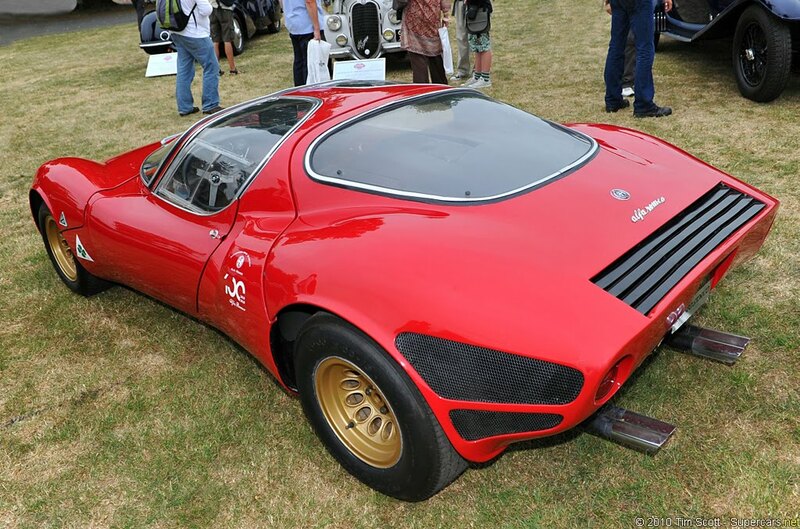 The Strada combined driveability with high speeds and performance and was acclaimed to be ‘among the fastest grand touring cars in the world’. Inspite of working with many successful designs, very few of Bizzarrini cars were mass-produced more of them being one-off, made-to-order jobs. 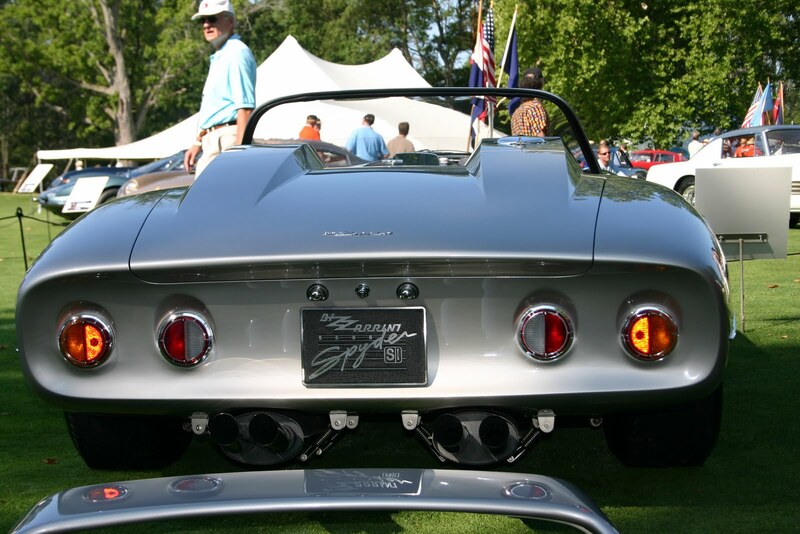 Even today, car aficionados hold his designs dear to their hearts and his restored cars are a huge hit in every show that they are staged in.